Santa Monica-based Apogee has been at the forefront of digital audio technology for 30 years. 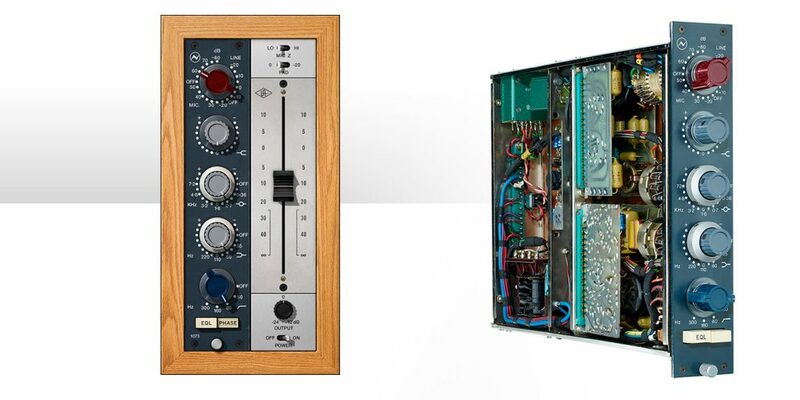 Since the company’s birth in 1985, it’s gone from building custom filters for early digital tape machines to creating some of the world’s first standalone A/D and D/A converters. Originally Apogee gear came in the form of an expandable network of clocking devices, computer expansion cards, and separate multi-channel A/D and D/A boxes, all tied together by the company’s Symphony system of PCI cards. That changed in 2006, when the company crammed much of said technology into a sleek silver single-rackspace FireWire audio interface, which it named the Ensemble. At the time, this was one of the first standalone high-end multichannel FireWire interfaces; it featured four mic preamps, 8 channels total of analog I/O, and slick routing features, all with Apogee’s famed sound quality. Since then, the company’s interface family has grown considerably. High-quality USB interfaces for portable use now include the One, Duet for iPad and Mac, and Quartet (reviewed June and December 2013), and Apogee’s top end is covered by the enormously powerful Symphony I/O system (October 2013). Now it’s time for the interface in the middle of the range, the one that started it all, to be reborn. The new Ensemble may be Apogee’s most jam-packed full-service audio interface yet. Its predecessor’s name and 1U rackmount format are all that the Ensemble retains from its predecessor. It’s a completely new design from the ground up. On the front, the original’s brushed-stainless look and minimalist controls have been replaced by a classy black powder coat finish with plenty of knobs, buttons, and dual OLED displays. On the back, the most notable change (and the one mentioned most prominently by Apogee) is the replacement of FireWire by the new Thunderbolt 2 standard. The two ports allow the Ensemble to be networked and run with very high throughput and very low latency. ~ 8 built-in microphone preamps with up to 75 dB gain. ~ 24-Bit/192 kHz performance with newly designed A/D and ESS Sabre32 D/A conversion. 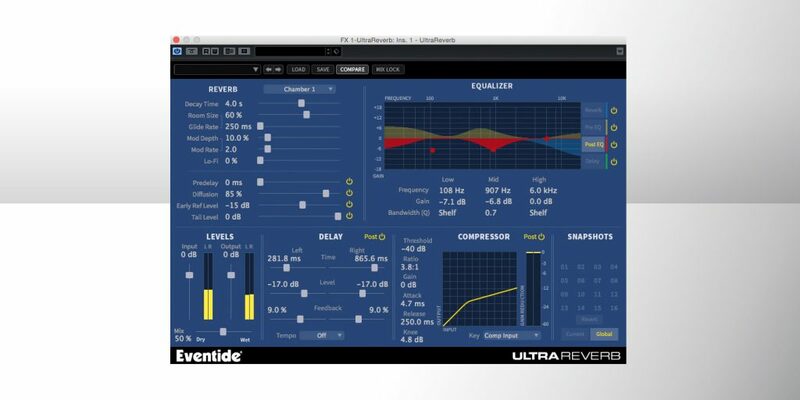 Like all Apogee products (aside from the recent Pro Tools interfaces created in conjunction with Avid), the Ensemble is designed for use with Macs. It’s Apogee’s first product that’s compatible with Mac OS X Yosemite 10.10 right out of the box; it works with OS X Mavericks 10.9.3 and above. The Ensemble uses Apogee’s well-known Maestro software for graphical user interface, networking, and control. It is compatible with any Core Audio DAW — Logic Pro, Pro Tools, GarageBand, MainStage, Final Cut, Ableton Live, Digital Performer, Studio One, Cubase, Nuendo, and others. Also note that it uses a built in Core Audio Hardware engine that helps achieve lower latency and eases CPU stress. The Ensemble’s front panel starts on the left with four 1/4″ jacks. The top two are Class-A JFET high-impedance instrument inputs for use with guitars and bass, with an input impedance over 2 Megohms. The bottom two are dual-function outputs that offer a standard parallel or Thru output like you would get on a typical DI box. This allows your signal to be sent out to your amp, allowing you to record your dry guitar signal while simultaneously miking and recording the amp. The real big news concerning these outputs is that they also full fledged reamplification outs. Your dry guitar signal can be sent to an amplifier after the fact and re-tracked to your heart’s content. Usually this procedure requires standalone reamping boxes; this may be the first time that this connivence has been built right into a recording interface. This set of ins and outs is also handy for interfacing and injecting guitar-level effects pedals into your mixes. Ten soft, backlit buttons, labeled 1-8 and G1/G2, allow instant access to and control of the unit’s input channels — eight on the back and the two Guitar inputs we just mentioned. Then there are two of Apogee’s standard push/dial encoders, as used on the Symphony I/O. One handles input functions like level control, and the other covers output functions. Between these two encoder knobs is a corresponding pair of ultra-bright, clear OLED displays, one for input and one for output. They resemble the corresponding displays on modern Apogee devices like the Quartet and Symphony I/O, and are a huge step up from the old Ensemble’s LED meters. Next up is a small hole in the front panel that houses a built-in talkback microphone. 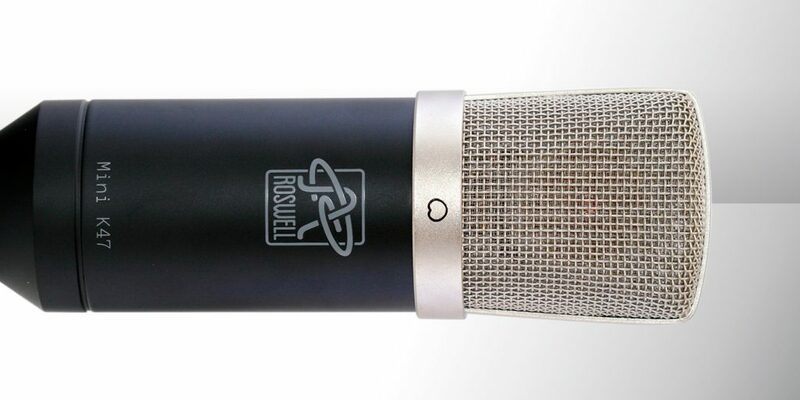 This mic is fully assignable and can be sent to the headphones, control room outs, or even to an input channel in your DAW. This makes it useful for slating takes, talking to the talent, or even for creative uses in tracking sessions or getting a quick idea “to tape”. I know what you’re thinking: “Dude, seriously — grabbing scratch tracks with a talkback mic?” Well, this is the same high-quality miniature mic capsule used in Apogee’s One portable mic/interface… so yeah, seriously, grabbing scratch tracks with a talkback mic. Next are four soft backlit buttons labeled A, B, C, D. Each of these is fully assignable via the Maestro software for use in monitoring, talkback and more. We will take a closer look at some of these functions and choices below. Last on the front panel (aside from the backlit power button) are two matching headphone outputs with individual push/turn volume controls. It’s worth noting that each makes use of its own high-quality output amplifier. They can drive any set of headphones you have, and can get very loud… use caution at full volume! The rear of the Ensemble is flat out packed! Starting on the left are the eight rear-panel analog inputs. Inputs 1 and 2 have dedicated 1/4″ TRS insert sends and returns; they, and Inputs 3 and 4, are combination XLR/TRS jacks, while Inputs 5-8 are XLR only. The analog output complement consists of two 1/4″ TRS Monitor Outs and an 8-channel DB-25 connector. The digital I/O section starts with two sets of Toslink optical ins and outs. These can be used for ADAT, S/MUX, and optical S/PDIF with the typical channel count/sample rate restrictions for sample rates above 48 kHz. There are also a pair of coaxial S/PDIF ins and outs on RCA, capable of 192 kHz operation, and finally BNC Word Clock in and out, the two Thunderbolt 2 ports, and a conventional IEC power cable socket. The mic preamps on the Ensemble deserve a special mention. Each offers 75 dB of gain and can easily accommodate any mic cleanly and accurately, including low-output ribbons and dynamic mics. My usual test mic for these applications, Shure’s gorgeous-sounding but very low-output SM7B dynamic broadcast mic, sounded clean, clear and fantastic. Each preamp has selectable 48V phantom power, a highpass filter, Apogee’s Soft Limit (on or off, lacking the variable control on the Symphony I/O), and phase switching. All of these options are available for control in the Maestro software. There’s one more huge bonus: unlike many budget interfaces (and too many high-end models), any or all of the mic preamps can be completely bypassed and set to line level. That lets you make full use of any of your favorite external mic preamps, while avoiding an unnecessary gain stage. The preamps boast an Equivalent Input Noise of -129 dB (unweighted @ 60 dB, 150 ohm input), a maximum input level of +20 dBu, and a 3 kilohm input impedance. So what about the sound? Older Apogee gear often gets a reputation of having a “sound” — one that is mid-forward, analog-ish, and very rock ‘n’ roll. With the advent of the new Symphony I/O and the company’s other current-generation interfaces, this is no longer that case. Apogee now makes converters that are more open, natural, and honest, with what I consider just a hint of upper-end sweetness that keeps them from sounding cold and harsh. The new Ensemble is cut from that same cloth. The D/A converter (DAC) in the Ensemble is the same as that of the current Duet and Quartet. However, when comparing my Duet for iPad and Mac to the Ensemble, the Ensemble’s overall sound is a tad cleaner, quieter, and more open to my ears. (This may be due to the fact that unlike the bus-powered Duet, the Ensemble has its own power supply.) The DC-coupled DACs in my Symphony I/O are still a noticeable step up the ladder from the Ensemble, but let’s call it a game of inches rather than yards. The output of the new Ensemble sounds fantastic! On the input side, the A/D converter (ADC) is a completely new design from Apogee’s engineers. Although the microphone preamps on the Ensemble are the same as those found on the current Duet and Quartet, the new ADC and improved power supply design really let them shine even more; tracks stack nicely and cleanly in a mix. See the sidebar for some specs on the ADC and DAC. Although I reviewed it back in our October 2013 issue, I no longer have the mic preamp option board for the Symphony I/O, so I could not do any side-by-side comparisons with those in the Ensemble. Still, I was impressed when doing remote tracking with the unit, including a reamping session. Never once did I regret not dragging my 8-channel Millennia HV-3D from my studio rack. If these are the only mic preamps you own, they should serve you just fine. As was the case with my other Apogee boxes, the installation of the Maestro software was quick and painless, as were updates and firmware checking. One thing I love is that once the Maestro software is installed for each device, you can swap between multiple Apogee devices with ease should you need to do so. I mentioned reamping above; this is something I am starting to do more and more. Having a portable rig that integrates this procedure so seamlessly is fantastic. Thanks to Maestro and the assignable buttons, it’s quick and easy to switch back and forth between the unit’s hardware thru/out and the recording/reamping level in your DAW for accurate level setting. Here’s where the low latency of the Ensemble comes into play. While I did not measure the precise numeric latency of the unit, I can say that I never perceived any latency or delay issues or CPU stress on my new iMac. This was the case whether I was reamping and checking the signal looped into my DAW, tracking vocals live through a plug-in reverb, or tracking 8 channels of drums at at buffer settings of 32 samples while monitoring through my DAW. Although latency has never been an issue on my ThunderBridge-equipped Symphony I/O, it did annoy me that the Ensemble’s is even better! Reamplification is just one of the flexible features that make the Ensemble stand out as a truly one-stop solution for audio interfacing. One such feature that’s not initially obvious is that it can act as a full-on speaker switcher and monitor controller! Here is where the programmable A/B/C/D buttons come into play. Any or all can be set to functions like Mute, Dim, Sum to Mono, and Engage Speaker Set. Using a DB-25 breakout snake and the function buttons, you can set up the Ensemble to control up to 3 sets of monitors with common monitor controller tasks like mono summing and more. Note that this is how I tested the Sonodyne monitors alongside other models in my review elsewhere in this issue. Other function choices for the programmable buttons include Toggle Guitar Out/Thru, Clear Meters, and Engage Talkback. 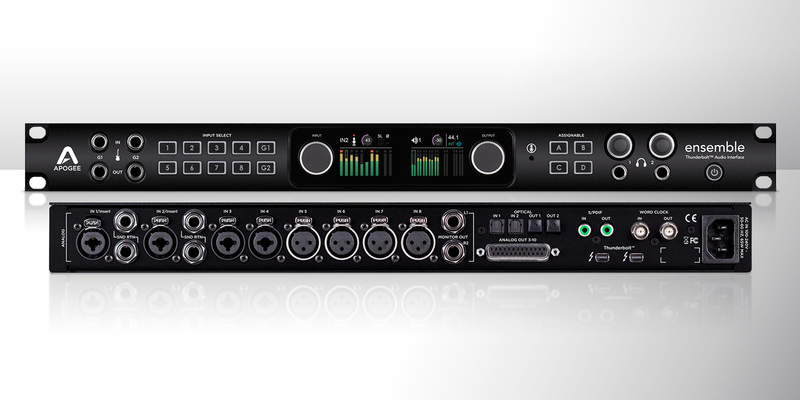 If you’re keeping score, this one box can be an 8-channel analog tracking device (with many more inputs available on the digital side), a full-featured monitor controller complete with talkback, a reamplification box with not one but two sets of outputs, and a high-fidelity playback and mixing device where you can loop hardware processors in and out of your DAW… all with flexible routing in the Maestro software. “Impressive” doesn’t begin to cover it. This is a monster of a box. While Apogee’s flagship Symphony I/O is more customizable with higher spec conversion, the Ensemble’s feature set still makes it one of Apogee’s most impressive products to date. It carries a significant price tag, but the outlay is pretty reasonable when you consider all that is packed under the hood. The new Ensemble is built like a tank, sounds fantastic, and is highly configurable and feature rich. What’s not to be excited about?